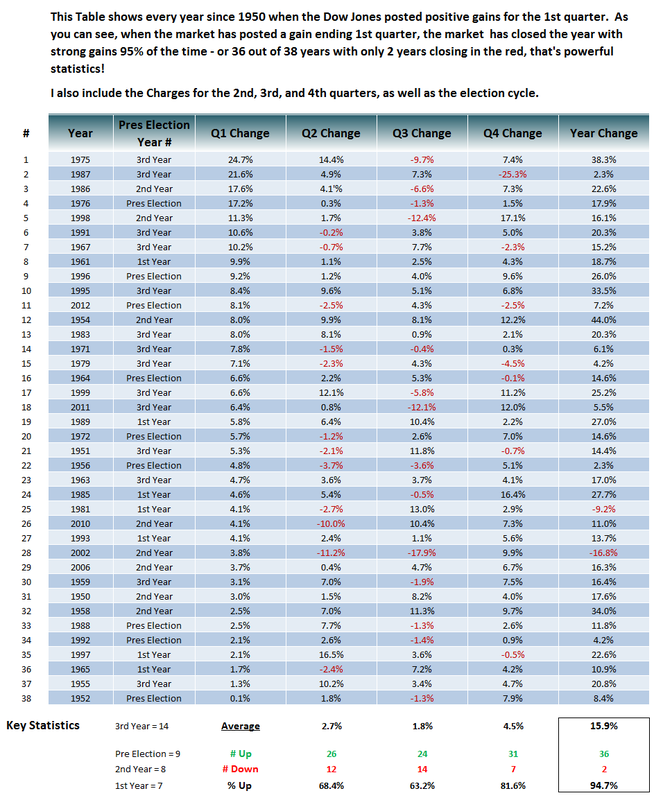 On Friday I posted some key market statistics for how the market tends to close out the year if it has a great January and a 1st quarter. Over the weekend I cleaned up the charts and added new statistics. Since we are now in Feb, I added the Feb gains to the strong Jan table. I've heard traders state that if the market has had a strong January, then February is typically a weak month - however the statistics do not show any correlation. 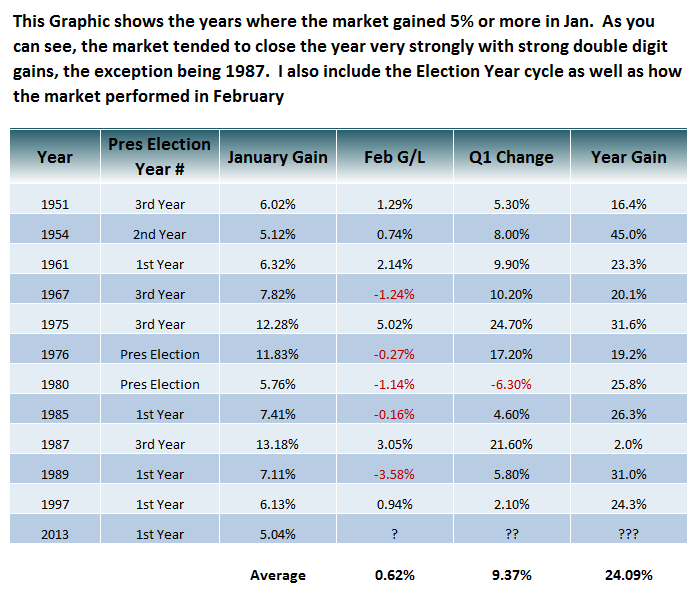 I also add the Presidential Cycle statistics to both of the tables as well as some key statistics to the quarterly table, which is sorted by years where the market closes up for the 1st quarter. Anyway take a look when you have time, my thoughts are to add these tables to the Long Term Tools section of the website, as well as lots of other statistics such as the Sell In May and Go Away etc.